Why you followin' my dress, when my fragrance having scent? You must be dizzy, cos' you're starting to drive your system round the bend, your defence is weakenin' and you start running running. Even tho' I'm still searching my signature scent, my friends always said that I'm perfect with flowery scent. Actually, I'm a sucker for jasmine but I wouldn't scare people and make them think that there's a ghost around them. I just gave my Jovan Black Musk to my cousin since it's too "stinging" and smells like a big bowl of berries from a drugstore. Wait, it's not a perfume.. The EDT is like a cologne that lasts longer. However, I have to admit Jovan Black Musk smells expensive (and it's actually inexpensive), very elegant, and could be worn night or day. It was good, but not for me. Then I looked for a replacement. Burberry Body is extremely good but the price is are-you-kidding-me-? Okay, so there's a confused 26 years old girl who looks like 18 looking for a high quality perfume at affordable price. A floral scent perfume just the way her friends like it! Forget about a signature scent. I don't have enough money. 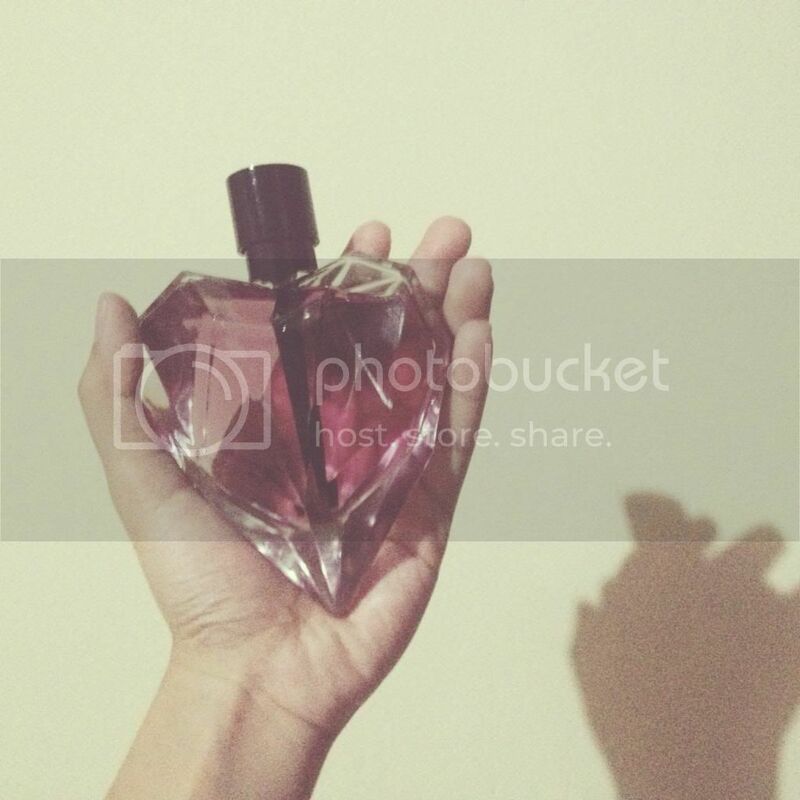 When I found Diesel Loverdose, it's sophisticated, elegant, and lady like (not ideal for young girls!). The scent reminds me to Jovan Black Musk but the composition is dominated by liquorice and very soft musk. Ever tired Escada Magnetism? The sensation is like that. Kinda. After an hour or two, the scent is like a floral laundry conditioner. As it dries down, the scent also a bit powdery. This is not a perfume which can be smelled by people meters away from you but it is nice and subtle but *still flirty* ;) All in all, I think it's actually pretty good for what it is. Main accords: Liquorice, Star Anise. Base notes: Woody. Eeerr.. Powdery! Maay toss dulu Burbery Body gw juga sukak bangeet tapi karena mahal ga masuk akal jadinya cuma di snif2 aja testernya kl lg di mall, hahaha... Sekarang lagi pake Marc Jacobs' Daisy Eu So Fresh. Enak banget, dan botolnya lucuk, tapi bentar lagi abis, kayaknya mau beralih ke Bylgari yg rose deh. Aaaaaakk dari hasil google-an, MJ Daisy Eau So Freshnya kok menggoda deh dit minta di snif-snif! Kalo Bvlgari gue pengen banget yang green tea tapi tak affordable! Huh! Enak ya saat SMA cuma pake Zwitsal ngga usah mikirin perfyum siang perfyum malam perfyum daily perfyum kondangan -_______-"